Lithuania has announced it will host Europe’s first international Blockchain Centre in Vilnius. The Centre will open its doors in the capital of Lithuania, on Saturday, January 27, 2018. It will connect with partner Blockchain Centres in Australia and Asia. 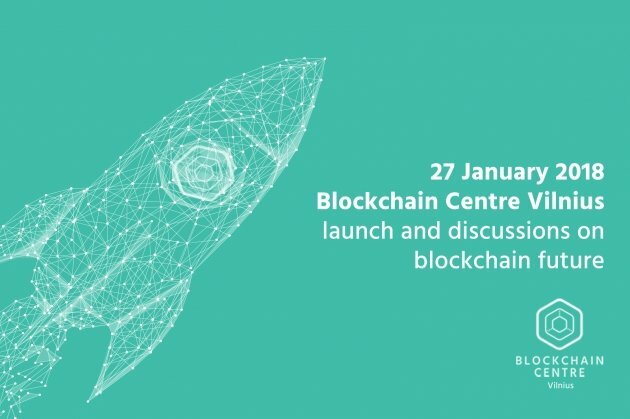 During the launch of Blockchain Centre Vilnius hundreds of blockchain experts from Australia, China, Canada, UK, Belgium, Denmark, Georgia, Gibraltar, Ukraine, Israel and Latvia will talk about the future of blockchain by presenting practical examples of blockchain technology application. The global event will host representatives from the European Commission, the European Central Bank, the Lithuanian Government, world-renowned companies including; NASDAQ, NEM, Pillar Project, Qadre, and other enterprises that are already applying blockchain technology. The objective of these companies and organisations gathering in Vilnius is to discuss the future of blockchain in Europe, and beyond, at the highest level for governments and businesses. Blockchain enthusiasts from around the globe are invited to join the debates online and follow the presentations via live streaming. The founder of Blockchain Centre Vilnius and member of European Parliament, Antanas Guoga (better known as Tony G in the blockchain industry) said, "Digital economy is a great catch for small countries like Lithuania. Technology and innovations are beneficial for talent situated in young economies. Lithuania is stepping up by offering a globally represented blockchain hub within an enabling regulatory environment. We are uniting an impressive team of investors, blockchain experts and mentors. Our centre is home to both well-developed and fast-growing blockchain projects with the ambition to expand to and from Europe, and the rest of the world." Virginijus Sinkevičius, the Minister of Economy of the Republic of Lithuania and keynote speaker of the launch event stated, "Blockchain technology is most often associated with innovation in the financial and engineering sectors, but it is important to realize that the system has a much wider range of applications, both in business and in public administration. Therefore, the emergence of this centre will help Lithuania strengthen its rather new global competence and develop innovative products that can become not only a successful export product, but also the country's representative card. There is growing recognition in Europe that Lithuania has gained an edge in financial and digital innovation." During the opening ceremony of the launch event, the Minister of Economy, V. Sinkevičius, will witness the signing of a Memorandum of Understanding with residents and partners of the Centre, including partners Lithuanian Confederation of Industrialists; Kaunas Technology University; Price Waterhouse Cooper, and including residents; Pillar Project (UK); NEM.io Foundation (Singapore); Citizens Green/GCAC (Canada); Lympo.io (Lithuania); and other companies and institutions. Shanghai time zone: from 8.00 p.m. till 11.45 p.m. In what ways can blockchain technology address the imminent challenges in public administration processes to create trust between European citizens and their traditional institutions? What will the next 'breakthrough' be in the coming year (outside crypto) that requires close attention from regulators? What else needs to be done at the governmental level to help start-ups and innovators access risk capital in a stable and sustainable manner? How can we solve business and cost optimisation problems by utilising blockchain? How does blockchain help with solving trust and security problems? What steps should we take for blockchain to become a mainstream technology and affordable for business? Speakers at the event include; Pierre Marro - Team leader of Fintech, blockchain, and access to finance from the European Commission; From DG Connect - Dirk Bullmann, Financial coordinator and advisor to the Director General of the European Central Bank; Antanas Guoga, Member of European Parliament and founder of Blockchain Centre Vilnius; Virginijus Sinkevičius, Minister of Economy of the Republic of Lithuania; Martin Davidson, Global Director and CEO of Blockchain Centre Melbourne; Tomer Sofinson, Co-founder of 20|30 & Pillar Project; Lon Wong, President of the NEM.io Foundation; Siân Jones, Founder of European Digital Currency and Blockchain Technology Forum; Arminta Saladžienė, Nasdaq Vice president and head of security services; Sonic Zhang, Founder of Value Net Capital; Layla Dong, Foundation board member at the WEF Global Shapers Community; Ashley Kemball Cook, Business development lead at Qadre; and others. 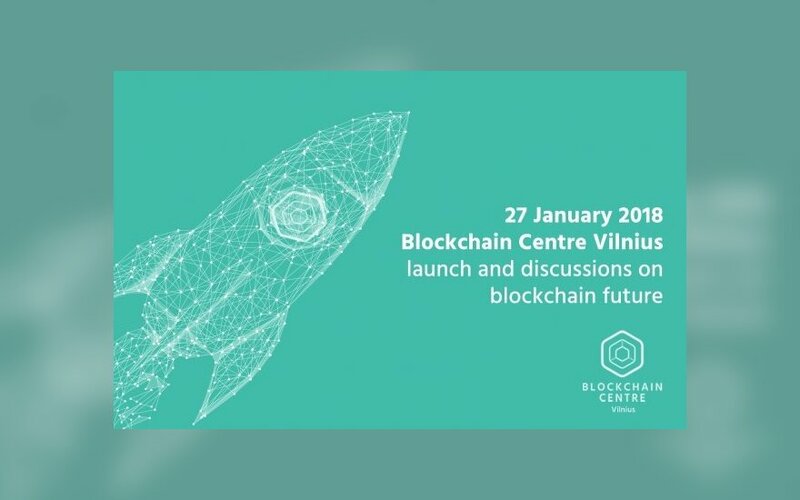 Blockchain Centre Vilnius is the first blockchain technology center connecting key stakeholders in three continents: Asia, Australia, and Europe. The partner Blockchain Centres in Melbourne, Shanghai and Vilnius incubate and accelerate blockchain start-ups, while sharing information about new blockchain opportunities with investors and businesses alike. Lithuania was selected by the Australian and Asian blockchain community as the network's first location in Europe due to its political and economic stability, EU and eurozone membership, and favourable business and regulatory environment. The Blockchain Centre Vilnius is based in a brand new riverfront office building Green Hall 2 just minutes from the Old Town Vilnius.